To me, meatloaf is pretty much the quintessential American meal. In most classic TV shows, families were always eating meatloaf. George Jefferson would complain about how his meatloaf was cooked, Lucy would cry about how she burnt the meatloaf in the oven, and the Brady Bunch kids would all sing Alice’s praises about what a delicious meatloaf she made. In fact, meatloaf is so much a part of our American culinary history, there’s even a book called But the President Want Meatloaf which details our past presidents’ proclivity for home-cooked foods. So you see? 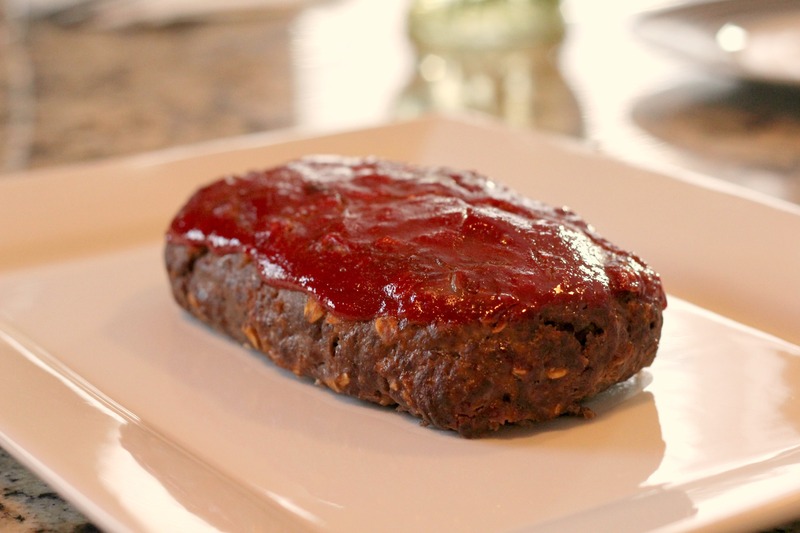 Meatloaf is definitely the quintessential American meal. That being said, you’ve probably tried meatloaf at least a few times in your life, and you probably already have a go-to meatloaf recipe. Well, for me, I’m still searching for that “just right” meatloaf. I’ve tried about 3 different recipes, and none of them have really wowed me. However, this one is definitely my favorite that I’ve tried so far. It also gets bonus points for being a weight watchers recipe. 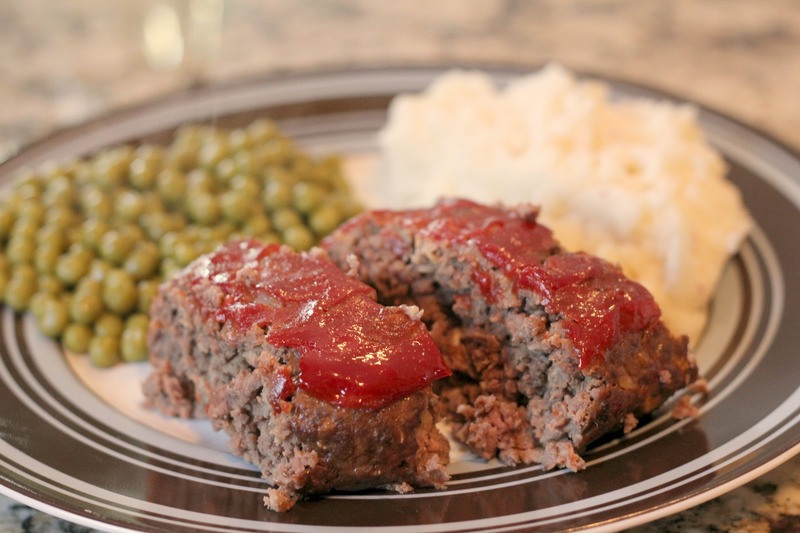 Do you have a favorite meatloaf recipe? What makes it stand out from others? Combine egg, 1/4 c of ketchup, garlic, salt, pepper. Add beef and oats. Mix well & shape into loaf. Place on a sprayed broiler pan. Top with remaining 1/4 c ketchup. Bake for 1 hour or until done. The ketchup makes it look more like a birthday cake. Good meatloaf = happy Conor. Poor meatloaf = depression. haha I didn’t think about the birthday cake thing I guess it does kind of look like frosting Maybe the next time I’m baking a cake, I’ll make it to look like meatloaf and then that will really throw people off! Are the 6 WW points, 6 Points Plus points or the old WW points? The source where I found this recipe does not specify. However, I’m guessing it’s Points Plus because this recipe came from emeals after they switched to Points Plus. Hope that helps! If I don’t have a broiler pan, can I just use a cookie sheet? I think I’m going to make this tonight and I can’t wait — looks delicious! Hi Emily. You can definitely use a cookie sheet! Hope you like it!